This Blog is filled with various articles, book recommendations, and personal inspiration to further your healing from life's traumas, passages, and transitions. I am an author and a retired psychotherapist with a background in Metaphysics. 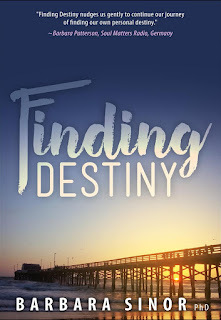 My latest published book "Finding Destiny" is my first fiction novel, and my newest book is "Inspirational Musings." Please visit my web site (www.drsinor.com) for more detailed information about me and my books. Inspirational Musings: Insights through Healing is a new title by Barbara Sinor, PhD, sharing her inner journey through personal thoughts and emotions during her recovery in a rehabilitation facility. Published by the Loving Healing Press, Dr. Sinor’s new book started as a written expression of inner thoughts and feelings experienced during her one-month long recovery in a rehab from a fractured hip in winter of 2018. But as this became a writing journey and filled pages with soul-searching lines, she knew it was going to be a book on recovery and self-awareness. “My musings and insights arrived daily to help me adjust to my new environment and kept me from forming negative thoughts of depression or giving up that can take over when one is confined,” the author writes in the introduction to the book. It took Dr. Sinor six months after her hip surgery to recover fully from the physical fall confining her to a rehab facility that ended up bringing a rise in personal empowerment and self-discovery. 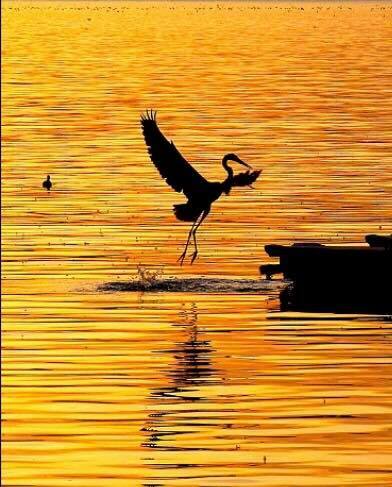 As she puts it in her book: "Complete stillness can bring an inner awareness to cleanse the mirror of doubt." 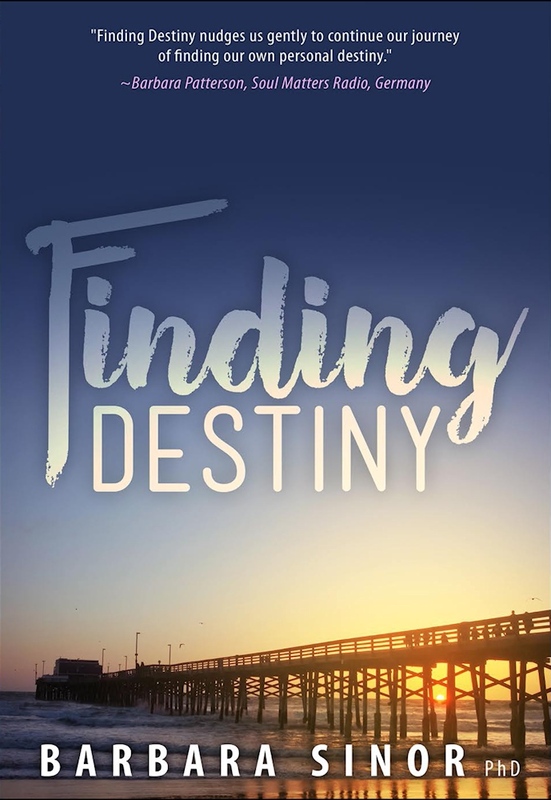 “This book is for all those souls going through any type of healing from an injury or surgery, addiction recovery, or an event or emotional trauma to gain self-knowledge, insight, and strength on their own personal journey through life,” writes Barbara Sinor. Read more about Barbara Sinor, PhD and her work at her website www.DrSinor.com. Inspirational Musings is immediately available in paperback, hardcover, eBook, and audiobook formats at Amazon, Audible, and other online content retailers. Thank you for following my Blog and reading my Books! "Inspirational Musings: Insights Through Healing"
Inspirational Musings to be released October 1st! On our life’s journeys there are major turning points. Falling and fracturing her hip, and then having surgery was an experience that forced Barbara Sinor to travel an unknown path. The experience took Barbara beyond her normal life to exploring emotions and thoughts in foreign regions. While Barbara was confined to a rehabilitation facility to recover, her inner journey took her through territories of fear, doubt, pain, guilt, and down other emotional paths. Regardless of your personal struggle, the lessons in Inspirational Musings offers courage and insights to awaken and transform. Inspirational Musings received another generous advance review! This one is from a fellow author, Diana Raab. Enjoy reading her kind words and watch for the book to release in just a few months! “Inspirational Musings is a beautiful, compassionate companion book, a precious gem to be used as a lifeline on those gloomy days when one needs a boost. This work offers poignant musings for those going through any kind of emotional and physical trauma, offering insight and strength. Inspirational Musings is a soft and poignant reminder that we must grieve at our own rate, slow down, practice mindfulness and compassion, enjoy nature, and allow life to unfold. I am so honored to have received such a heartfelt and detailed review from renown author of The Invitation, Oriah "Mountain Dreamer" House. Oriah's writing has always been a favorite of mine! I believe her review of Inspirational Musings: Insights for Those in Recovery captures my thoughts nicely. "We all have times when physical challenges pin us to the spot. Sometimes we squirm, sometimes we relax, and sometimes--if we are very fortunate--we use the time as Barbara Sinor has, jotting down contemplative thoughts stirred by the stillness. Drawing on words from many teachers and adding her own honest stories and reflection during a time of convalescence, Barbara offers us a small book to dip into when we want to go deeper, when we need to find healing for this moment. 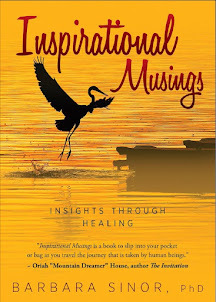 Inspirational Musings is a book to slip into your pocket or bag as you travel the journey that is taken by human beings." "Reading this booklet of insights reached up and grabbed me within the first few pages. I experienced a profound deep awakening and inspiration of some buried feelings I didn’t know existed within my being. All the quotes within Inspirational Musings bring a divine influence, and the personal poetry of Dr. Barbara Sinor inspire us to heal and stay positive. The last quote by renown Stephen Hawking moved me deeply and my being once again saw the Light out of the darkness. Thank you again Barbara for sharing your insights with us." Recovery from emotional, physical, or spiritual trauma can overwhelm even the strongest among us; yet it can be an unprecedented opportunity for our personal growth. Inspirational Musings: Insights for Those in Recovery is a treasure trove of elegant, gentle, and wise passages written by Dr. Barbara Sinor while undergoing her own rehabilitation. Poetic, profound, and powerful, Inspirational Musings is not only a must for anyone going through a challenging recovery, but can also benefit those of us who yearn to connect with the awe, magnificence, and meaning of life. "When we are in the depths of recovering, we often feel bound by the weightiness of negative emotions and physical discomfort. Opening ourselves up to sources of encouragement feels futile. However, psychotherapist and author Dr. Barbara Sinor provides us with a compassionate companion in her newest book Inspirational Musings: Insight for Those in Recovery, easing us gently into the words of wise teachers and into the warm comforting lessons gleaned from her personal healing journey. 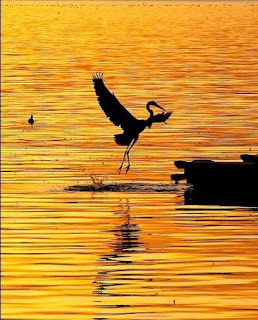 Sinor’s poetic musings around topics such as Compassion, Suffering, Beauty, Joy, Awakening, and Faith not only inspire us, but awaken our souls to discover meaning and purpose both during and after our pain." Inspirational Musings: Insights for Those in Recovery. As I sat in my small recovery room, I pondered my life, my emotions, and my future. As I meditated, it became clear that I needed to write my feelings and insights down in a journal. This journal became my outlet, my companion. As I sat healing from a hip fracture and subsequent surgery in a rehabilitation center, my thoughts roamed to topics of Fear, Grief, Trust, Friendship, Gratitude, and many others. My musings continued once home while in a wheelchair; the journal became an inspirational booklet for others healing and in recovery. Watch for it to be released in Fall 2018. 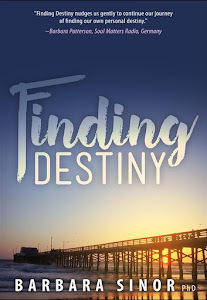 I was on the Cyrus Webb BlogTalk Radio Show and talked about Finding Destiny. I have added a link here if you'd like to take a listen! 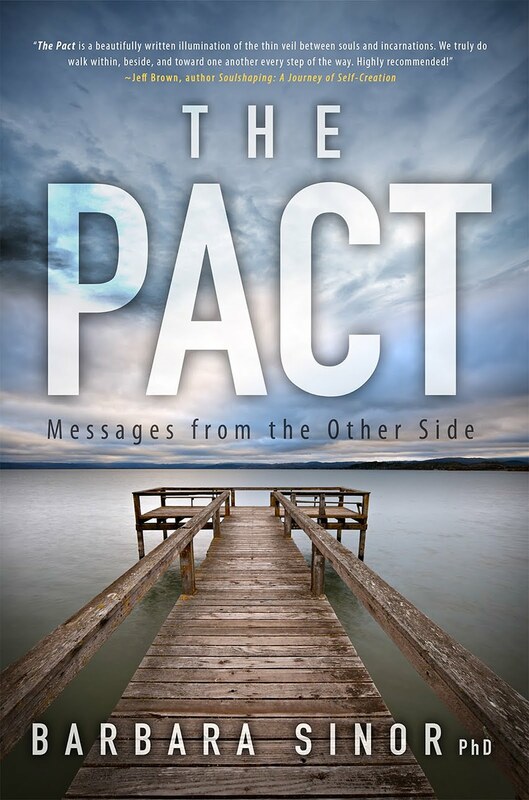 "The Pact: Messages from the Other Side"
A new magazine for everyone experiencing Life! Great articles by everyday people who are gaining strength and direction on their journey toward peace and wholeness. Check it out: "Recovering the Self"